Birmingham, AL may not be at the top of your list for weekend getaways, but if you are going to do it, you are going to do it right. Right? You will stay at the beautiful Renaissance Birmingham Ross Bridge Golf Resort & Spaon the Robert Trent Jones Golf Trail. You will eat at James Beard-award winning chef Chris Hastings’ Hot and Hot Fish Club and Chef Frank Stitt’s Highlands Bar and Grill. Or if you are married to someone especially thrifty like me, you will settle for the next best thing. Here’s the thing: You don’t have to settle. Not in Birmingham. 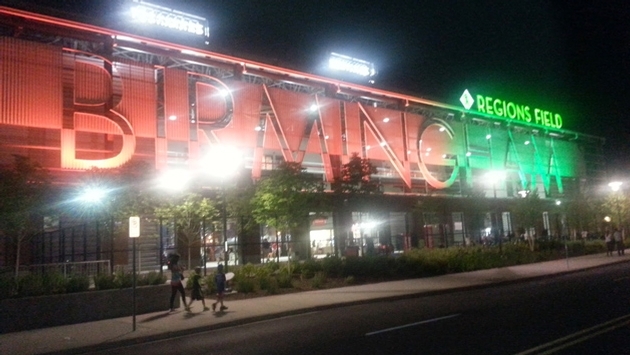 Birmingham has come a long way in the last 15 years. 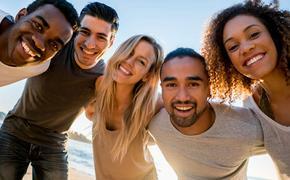 The downtown has undergone a thorough rejuvenation and has some of the best offerings of nationally recognized and locally embraced fare and various entertainment options. Their green space is ever-increasing and the folks are just downright friendly. We are eternally grateful to our new friends, Paul and Brittany Yeager who helped send us in the right direction. First stop was the Pepper Place Farmer’s Market. This is probably the largest farmers market in the state and we were only at the Spring Season market. This thing swells to almost three times the size during the summer and is THE place to see and be seen on a Saturday Morning. 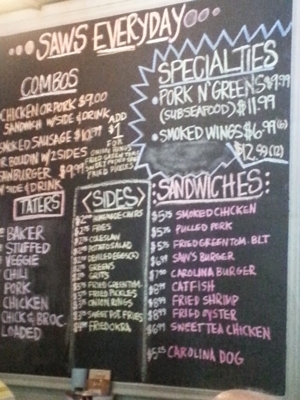 Lunch was at Taylor Hicks’ Saw’s Juke Joint. He partnered with Saw’s other owners Mike Wilson and Doug Smith to reimage his original concept Ore. The deviled eggs were overstuffed and good. The potato salad and pulled pork sandwich was right where it needed to be. the real standouts here are the sweet-tea fried chicken sandwich, the sweet potato fries and the Homemade chips. the fried chicken is brined in sweet tea (and pickle juice, or so I have been told) and the homemade BBQ chips are spicy and stayed crispy in their bag for close to two days as we rationed them out one at a time. I don’t know why most restaurants can’t get sweet potato fries right, but Saw’s does. They have a great selection of local craft beer and apparently you can’t even get in the place on nights when they have live music. Meal and a craft beer each, out the door for $51.91 with tip and leftovers. Birmingham is the Pittsburgh of the south and its history is as rich with the iron and steel industry as its land was with the minerals to make them. We headed over to the Sloss Furnaces National Historic Landmark. Best free tour you can take educating you not only on the industrial history of the area, but on the process of smelting and refining metals to produce pig iron. 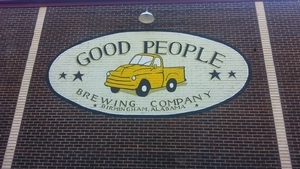 Checked into the Hotel and drove back up to the Good People Brewing Company. $5 pints of craft brew in an old warehouse environment that sits right across from the New Regions Field, home of the Birmingham Barons. $12 tickets put us ten rows behind home plate in what was voted Best Ballpark of the Year in 2013. This is definitely a do-again. We were looking for the next best thing to The Hot and Hot Fish Club after the game and were turned onto the casual dining experience that is The Fish Market. A huge menu, incredibly fresh fish and if anyone knows the Greek culture with their history of fare from the sea, then this is a no-brainer. Portions were tremendous, my wife’s alligator sausage and shrimp was “sop it up with a loaf of bread” good and my salmon was off the hook (did you see what I did there?). Chef and owner George Sarris certainly knows what he’s doing because the place seats 400 people and for an app, 2 salads, 2 entrées, and a beer we were out of there for less than $70 including tip. On the way out of town, we had three more stops to make. Owner Steven Jackson and his wife Ashley Andrews Jackson (daughter of the famous go-to Tommy John Surgeon Dr. James Andrews) have put together a breakfast concept that is over the top. 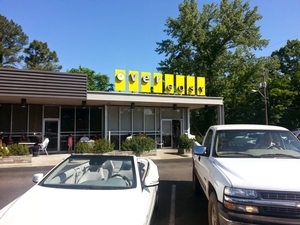 Over Easy is where they greet you at the door and feed you their bespoke blend of coffee for free while you wait for your table. A drawer full of toys for the kids, a neat, clean and modern décor, and stylish diner-style bar round out this experience. on the recommendation list here: banana oatmeal pancakes, the Italian eggs benedict (the wife’s choice) or my cream cheese stuffed French toast with blueberry compote. Don’t miss the McEwen & Sons Stone Ground Organic Blue Grits. They ARE blue and they ARE great. After that meal I have to call Dr. Andrews for my brunch elbow issues! With coffee, OJ and extras we spent just over $35 with tip. Working off the meal we walked around the Railroad Park (free), a beautifully reconditioned area in the heart of downtown affectionately referred to as Birmingham’s Living room. Then it was off to Vulcan Park and Museum($6) for a bird’s eye view of the city and the Roman Deity’s effigy that symbolizes it. All in all, we may not have eaten or stayed at official four-star establishments, but the next best thing was a “better than four-star” experience for a portion of the price.